Hello! 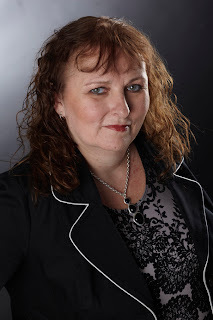 Big thanks to Pamela for inviting me to be a guest on her blog. I’m thrilled to be here! I’m Amy Durham, a Young Adult fiction author. I’m also a wife, a mom of 3 crazy boys, and a middle school teacher. I like to think of myself as a professional multi-tasker! 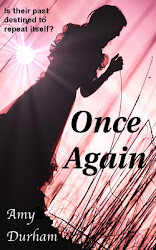 My debut novel, “Once Again”, released in January of 2012. “Once Again” is the story of Layla Bradford and Lucas Ellis, who find out there’s way more to worry about than typical high-school drama when they discover that they’re the reincarnation of a young married couple from the 1800s who suffered a horrible tragedy at the hands of a madman who was never brought to justice. The evil that destroyed them in their previous existence is alive and well, and coming for them once again. I’m currently writing the sequel, which I hope to release later this year. When I talk to non-writers about my writing activities, I usually get a lot of “whys”. So for today’s post, I thought I’d take the 3 most common “whys” I’m asked, and expand a bit on each. Why YA Fiction? I love that YA Fiction has such a cross-over appeal. For tweens and teens, YA Fiction can give readers hope and encouragement, as well as a place to temporarily escape the ups and downs of adolescence. For young-at-hearts like me, YA Fiction offers an opportunity to revisit the exuberance of youth, to remember the joys of childhood, and experience the intensity and heartbreak of young love all over again. Why Paranormal Romance? I love paranormal fiction because I find it so easy to suspend disbelief and lose myself in a story when I’m swept away by something “otherwordly”! I love the imagination paranormal fiction involves, not only as a writer but as a reader as well. Being pulled into a paranormal story is one of my favorite pastimes! Why Reincarnation? I think reincarnation is a fascinating concept. Whether you believe it exists or not, the idea of returning in another form or in another time is captivating. I love that reincarnation can be molded to fit most any storyline, and can even encompass other paranormal elements. And when it comes to romance, I think that reincarnation can really illustrate the idea of love being endless, spanning generation, and not being bound by space and time. Thanks Pamela, for allowing me to visit here today. 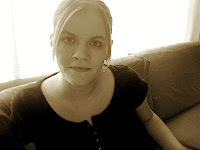 I really appreciate the opportunity to connect with readers and fellow-writers across cyber-space! Great post, Amy. I share your reasons for writing YA. You've really gotten the suspense angle down with this story! I'm glad to hear you're writing the sequel. Great post, Amy. I've started reading YA lately because of several authors I know. And I'm loving them. Good luck with your book. Great post, Amy! I've only read a few YA titles, but really enjoyed them and will definitely be adding yours to my TBR list! Thanks for sharing with us! Wonderful post, and Once Again sounds intriguing! I've read a lot of YA books I've really enjoyed and am always looking to discover a new one. This was a great introduction to your release! Thanks for the comments ladies! So glad you shopped by! Hi Amy, Reincarnation fascinates me as well. I'm glad more writers are delving into the subject. Good luck with your book. Congrats on the new release. What a beautiful cover! You write YA so well. 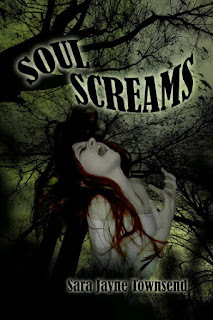 Throw in the elements of paranormal and reincarnation and you have a very good read. Great post.